Jiang R, et al. 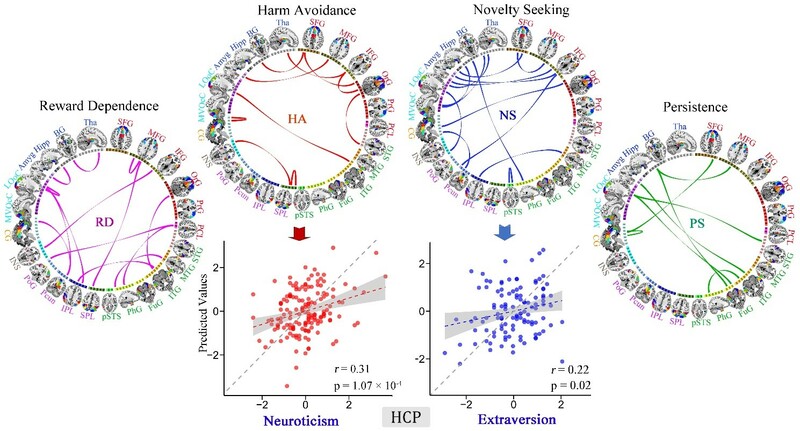 Connectome-based individualized prediction of temperament trait scores. NeuroImage 183, 366-374 (2018). Jiang R, et al. SMRI Biomarkers Predict Electroconvulsive Treatment Outcomes: Accuracy with Independent Data Sets. Neuropsychopharmacology 43, 1078-1087 (2018). Meng X, et al. Predicting individualized clinical measures by a generalized prediction framework and multimodal fusion of MRI data. NeuroImage 145, 218-229 (2017). Sui J, et al. Multimodal neuromarkers in schizophrenia via cognition-guided MRI fusion. Nature Communications 9, 3028 (2018). Gao S, Calhoun VD, Sui J. Machine learning in major depression: From classification to treatment outcome prediction. CNS Neuroscience Therapies. doi: 10.1111/cns.13048. (2018).